SUBSCRIBE: WWW.EARTHREPAIRRADIO.COM This episode looks at the successful and ongoing story of the Ghana Permaculture Institute and their work in creating region-wide economic development using permaculture strategies. Dr. Paul Yeboah has not only restored the fertility and the water table of his 30 acre demonstration site, but he has created a processing system for a number of local crops to add value that is then returned to the farmers, improving their livelihoods and basic standard of living. He has 10,000 farmers growing Moringa, 3,000 producing honey, as well as many others growing other fragrant plants for essential oils that he is processing and selling on the local and global markets. His economic organization is making a huge impact and now the government of Ghana is paying him to advocate for permaculture and promote the economic and ecological models he has pioneered. This is a success story with lots of wisdom to share from West Africa. Paul's links: PHONE +233 (0) 243702596 MOBILE +233 (0) 504655245 EMAIL permacultureghana@gmail.com ghanapermacultureinstitute@gmail.com WEBSITE permacultureghana.wordpress.com ghanapermaculturei.wix.com/permaculture BIO: Paul Yeboah, is an educator, farmer, permaculturist, community developer, and social entrepreneur. 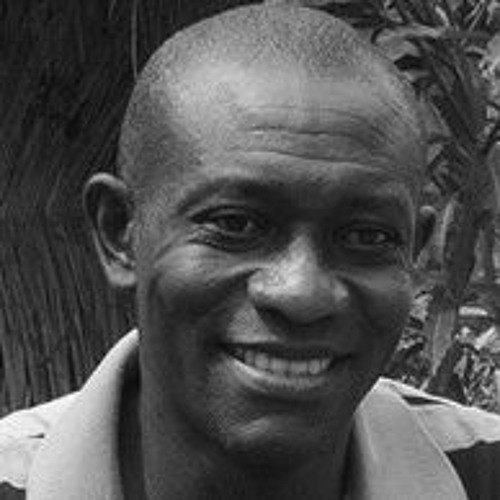 He is the founder and coordinator of the Ghana Permaculture Institute and Network in Techiman, Ghana, West Africa. It is located in the Brong-Ahafo Region of Ghana. The purpose of the Institute is to build and maintain a stable food system, to take care of the local ecosystems, and to improve the quality of life in the rural areas. The GPN trains students and community in sustainable ecological farming techniques. They support projects throughout Ghana; women groups, micro-finance projects; teach growing Moringa; mushroom production; alley cropping, food forests development and Agroforestry.